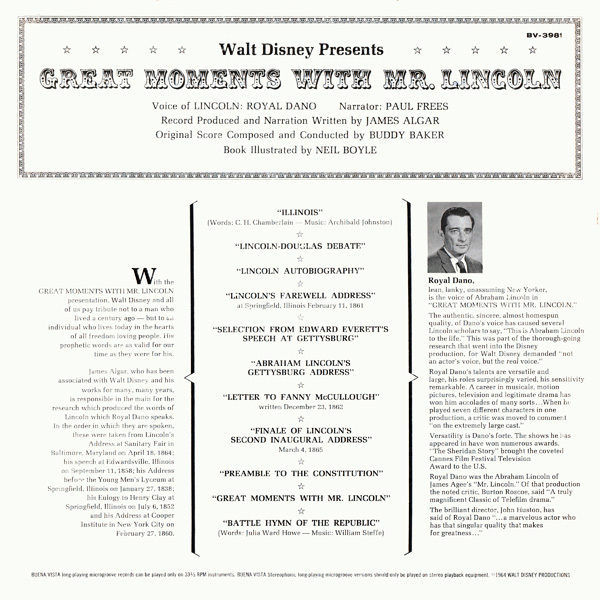 Record Comments: This record was released on the Disneyland and Buena Vista Records labels. 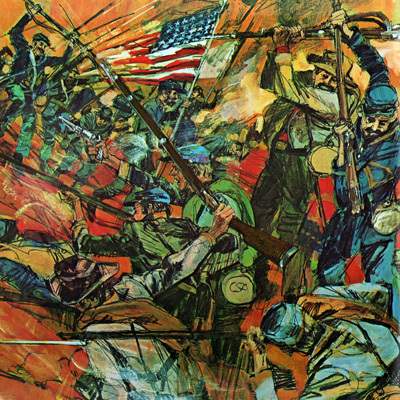 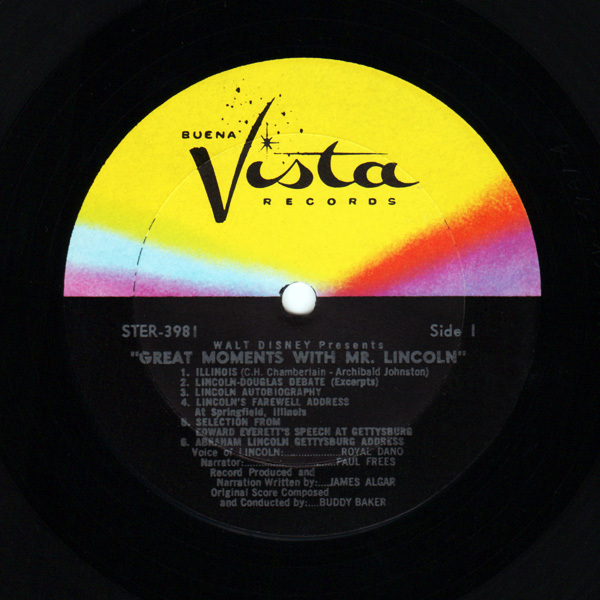 The stereo version for the Buena Vista Records version will show BV-3981 on the cover and STER-3981 on the record label. 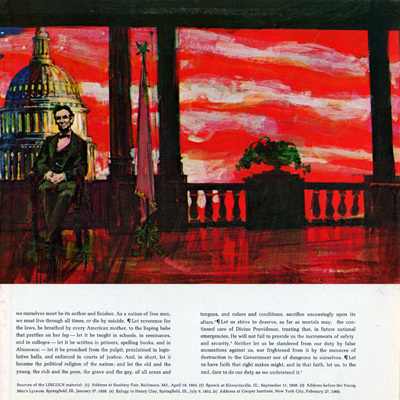 An ST-3981 catalog number also exists. 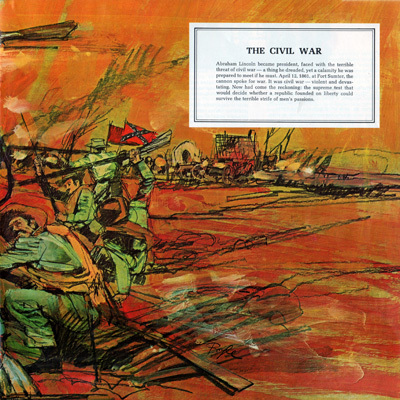 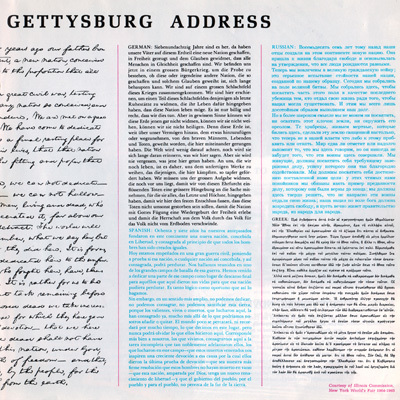 There are no track marks on the record surface of this issue, but the back cover includes a list and the record label shows them with numbers. 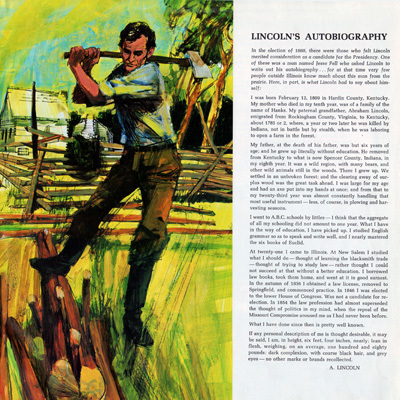 The book includes 11 illustrated pages. 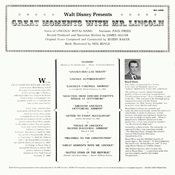 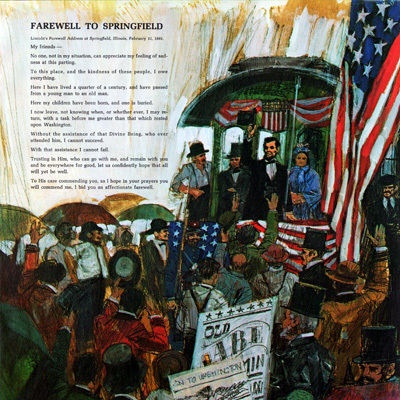 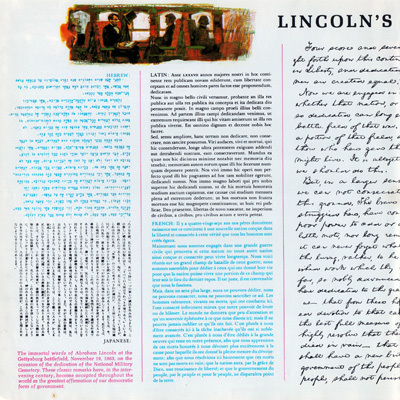 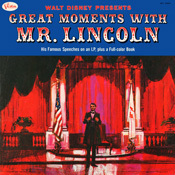 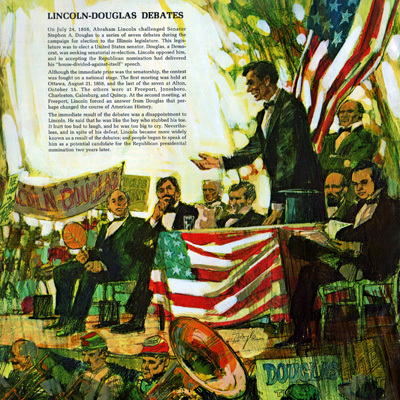 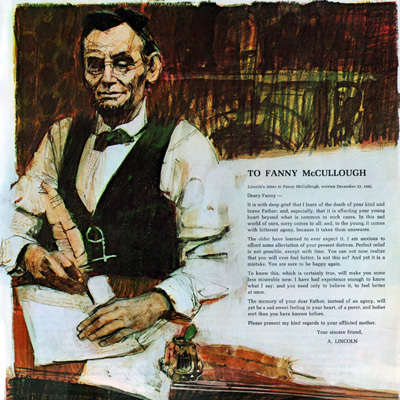 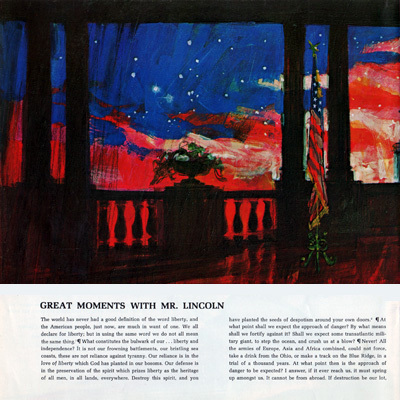 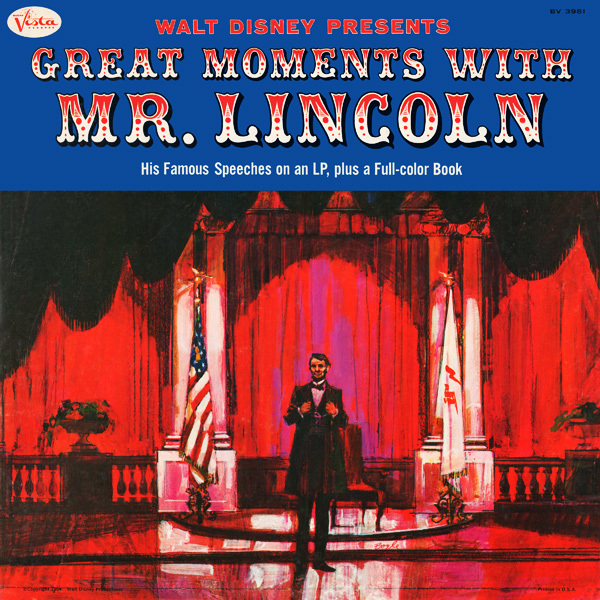 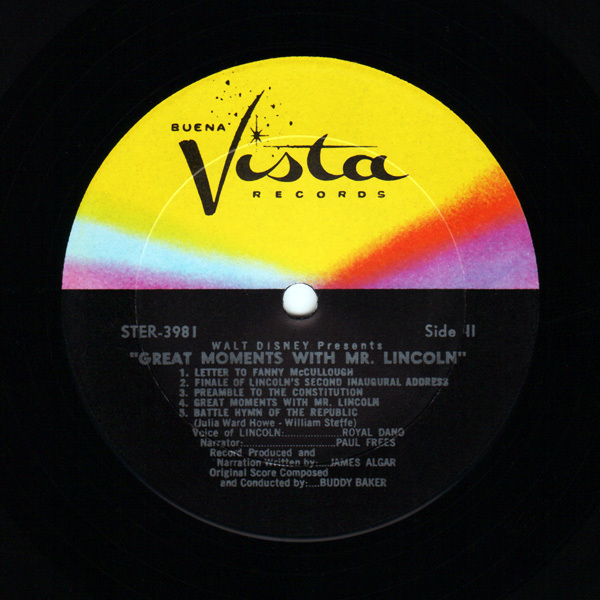 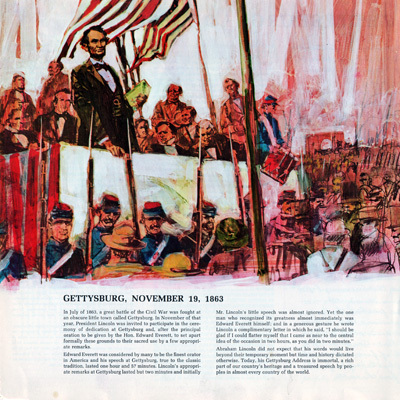 Subject Notes: "Great Moments With Mr. Lincoln" is a Disney attraction and made its official debut at the 1964 World's Fair in New York. 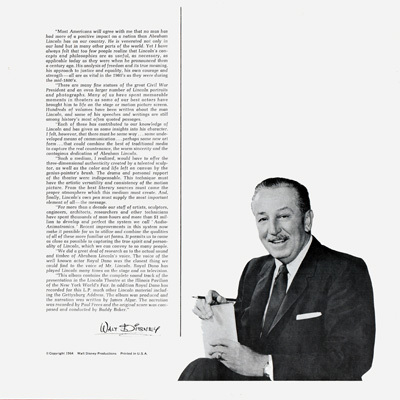 It was added to the Disneyland theme park in Anaheim, California in July of 1965.